Lawyers protest against Chief Justice of Pakistan and its reasons. When will real change take place in Pakistan? Will technocrats bring change promised by PM Khan? After 8 months to election now Chaudhry Nisar decided to take oath, What is happening? Can new economic team & leader bring any change? PM Khan visit of Iran just after terrorist attack in Baluchistan from group stayed inside Iran. New induction in federal cabinet under serious criticism of opposition. Can new faces of federal cabinet bring any change? Exclusive interview of former foreign minister & speaker national assembly Gohar Ayub. Why opposition criticizing PTI government for inducting technocrats in the cabinet? Will change in federal cabinet influence Punjab & KPK as well? 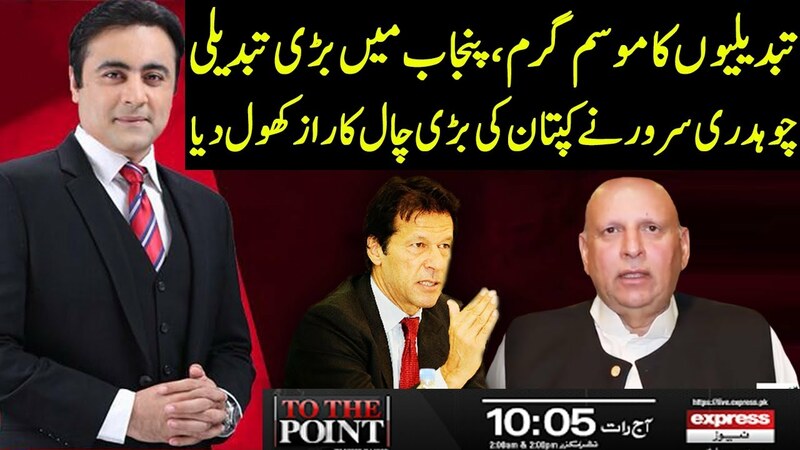 Can PM Khan forced Asad Umar back in federal cabinet? How far current wave of change will go? What will be the future of promises made by Asad Umar? Current political, economic and regional scenario of Pakistan. What are the reasons behind major changes in the federal cabinet. PM Khan visit of Peshawar followed by an address to rally in Orakzai agency. Who will be next minister of finance of Pakistan? Opposition attacked on PTI after Asad Umar resignation. What is standard of value of assets declaration scheme? Numbers of model courts are being increased to two times. Will farmers be compensated after destruction of their crops due to extreme raining. Why PTI government delayed deal with IMF? Discussion on current economic scenario of Pakistan.